Greetings Empire Avenue community! My name is Nicholas Hovencamp, and I recently began as a Communications Intern for Empire Avenue. I’m hoping to share my thoughts on all things Empire Avenue, as well as trying to share how you can utilize Empire Avenue’s systems to provide meaningful growth to your network. I also want to learn from our more seasoned community members! One of the defining features of Empire Avenue is the ability to create, and complete Missions. By creating Missions you can increase activity across your social networks, and by completing missions you can gain Eaves, but have you ever thought about the other benefits? There are many different types of people using Empire Avenue, and finding someone with similar goals, or interests to your own isn’t difficult. 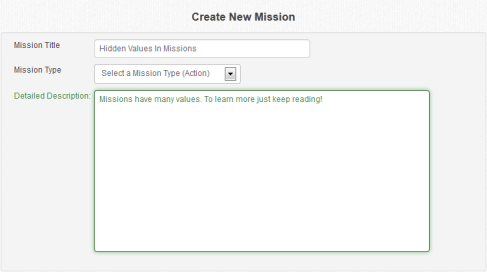 You can spend your time looking through the Missions page, or for a more direct approach, you can use the Missions Search bar to find exactly who you are looking for through searching for Mission content. Missions make finding like-minded people who want to network easier. We all know that completing missions will gain you Eaves, but you also gain the opportunity to help support objectives that you believe in, as well as the opportunity to grow your network by connecting with the Mission creator. The same benefits exist when creating missions as well. Not only are you growing your network by increasing the activity on your Facebook/Twitter/etc, but you are helping to build connections with the people who complete your missions. 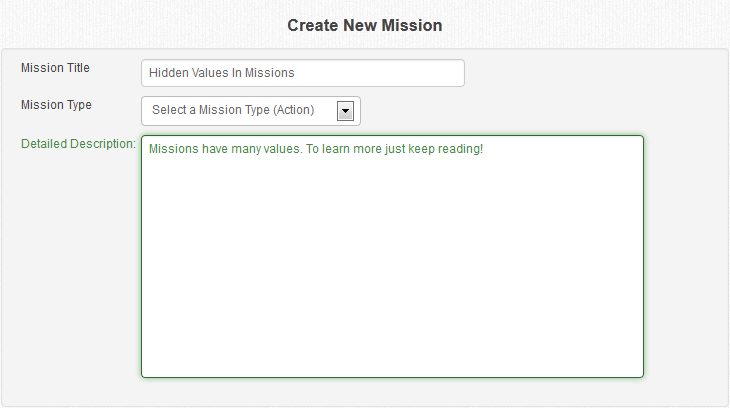 Are you creating Missions to support a specific cause? By creating missions you get the opportunity to reach out to the Empire Avenue community, and connect with people who are interested in your causes, and willing to help. People’s goals overlap frequently in the social media space, and Missions are the perfect way to connect with these people. Don’t forget to check out who completed your Missions, it will be a quick way to start that networking on and off Empire Avenue! So the next time you think about completing or creating a Mission, think not only of the Eaves that you are gaining or giving away but also the various opportunities that you create through your Missions. Like great volunteer opportunities in the real world, Missions can really help in ways you might not have thought about. Whether you are a Mission taker, or a Mission maker the networking possibilities are literally at your fingertips. So your mission (if you choose to accept it) is to check out the Empire Avenue Missions page, and start increasing the value of your network!